There are countless devices you can strap to your body that will monitor your physical activity, track your vitals, even tell you to stop slouching. You may have also heard about a competition to develop a Star Trek-inspired medical tricorder capable of diagnosing more than a dozen medical conditions and capturing five vital signs. Yet in a nation increasingly obsessed with counting steps taken, calories burned, and minutes spent sitting or sleeping, mental health issues remain largely taboo -- even though nearly 20 percent of adults in the U.S. are affected by some form of mental illness. But what if there was a device you could carry around every day that could help you discreetly monitor and manage things like insomnia, PTSD, depression, anxiety and bipolar disorders, or schizophrenia? There is. It's your phone. Ever wondered if you're clinically depressed or just having a bad day? There's a diagnostic test that will let you know if it's time to call a therapist, or go get a bowl of ice cream. 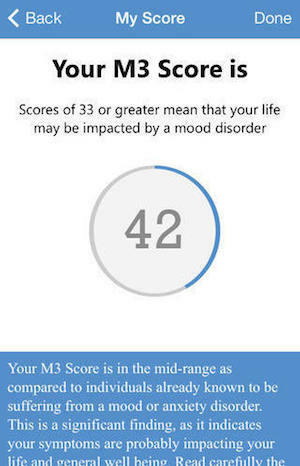 Just download the M3 mood screen test to your phone to find out. 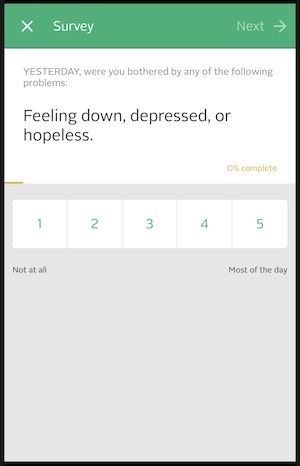 Created by a group of mental health doctors, professors and therapists, WhatsMyM3 is a basic app that includes mental health resources, a history of test results, and a set of 29 questions to help rate your mood and anxiety symptoms. At the end of the questionnaire, you get a score that provides you an analysis of your risk for depression, anxiety and bipolar disorders, and PTSD. You can print, email or allow a health care professional to access your results online. Be aware that your M3 score is not a diagnosis (only a medical professional can provide that), but it can help you decide if it's time seek professional help. The U.S. Department of Veteran Affairs recently launched a mobile app store geared toward veterans and VA care teams. The apps on the site are free, but some require a special login as they are linked to a patient's VA Electronic Health Record. There are many apps that are designed to help users deal with medical issues such as concussions, PTSD, weight management, and more. One of the apps on the site is the CBT-i Coach, which is designed to help with insomnia. 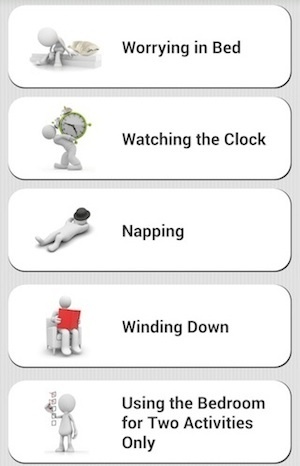 Based on Cognitive Behavioral Therapy for Insomnia in Veterans, the app was developed by VA's National Center for PTSD, Stanford School of Medicine, and Department of Defense's National Center for Telehealth and Technology. The free app (available for iOS and Android) includes guided meditation, a sleep diary, relaxation exercises, and tools to help create new sleep habits. 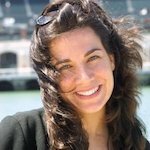 While the app isn't just for veterans, CBT-i should be used in conjunction with a CBT in-person therapy program, and not as a standalone tool to cure your insomnia. What began as a thesis at MIT Media Lab to find out if your phone could detect when you're not feeling well became an app that will alert a doctor when a patient isn't doing well. That's the idea behind Ginger.io. Initially, the app was designed to help with depression and behavioral health issues (anxiety, bipolar disorder, and schizophrenia), but it's also in trials to help with heart disease and chronic pain. Once installed on your phone, the app works behind the scenes to gather information about where you go, your call data, text message patterns, and even motion data from the accelerometer. When significant deviations occur, an alert is sent to you and your care provider, who can then decide if treatment is needed. While the app is available for iOS and Android devices, only a health care provider or professional can activate it. Ginger.io provides a way to get ahead of issues before they escalate, and it can alert your doctor to things you might forget to mention or think are irrelevant. Using apps to monitor something as sensitive as mental health of course raises questions about legitimacy and security. Before downloading any app, it's important to know its source, its developers (health care professionals or someone else), and how it uses the data it collects. Much of this information can be found on the iTunes and Google Play app listing page and at the developer's website. Another question is accuracy: what if you try to "cheat" the questions to mask your symptoms, or your phone is lost or stolen? That's where a doctor of therapist comes in. The data these apps collect can certainly help fill in gaps, but they don't provide a complete picture.